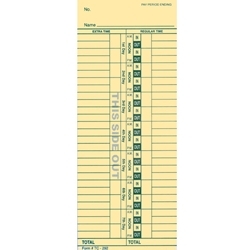 Manual style time cards. Four styles to choose from. Printed on heavy duty 125#manila stock.